The Thoroughbred houseboat is comparable to which house boats? Thoroughbred houseboat models are nice house boats. Is a Thoroughbred Houseboat comparable to which other house boats in the market? 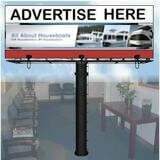 We would like to investigate other similar houseboat manufacturers. We like the style and quality of the Thoroughbred line, however we'd like to look at others before we make such a big decision on which boat to get for our family. If you could guide us in the right direction, it would save us lots of time. 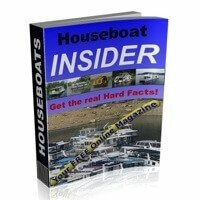 Well Danny & Kathy, welcome to the houseboat forums, and congratulations on your decision to buy a houseboat, especially a Thoroughbred, or similar model. 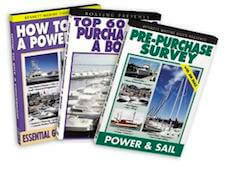 Now as to your question about which manufacturers would be similar to the Thoroughbred boats, than I would have to recommend the Stardust Cruisers, Fantasy Yachts, Lakeview Yachts, and also the Sumerset Houseboat lines. These are all high quality, well built, full featured, affordable manufacturers that stand behind their products. You couldn't go wrong with any of them, and you would be going in the right direction. Lastly, hopefully some of our readers will share and post comments about their Thoroughbred houseboat experiences. Feel free to use the "Click here to post comments." link found near the bottom of this page. 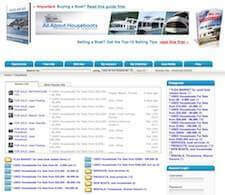 Comments for The Thoroughbred houseboat is comparable to which house boats? 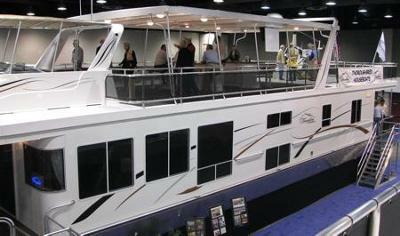 Thoroughbred built a 77' x 17' custom houseboat for us in 2005. Beautiful boat...until the hardwood floors began to discolor (rot) under the windows. They came out several times to replace damaged wood, recaulk windows, but never found where water was coming into the boat. As the problem continued Shawn, the general manager at the time, refused to replace the damaged floor or accept any responsibility for the damage. Fast forward to this May. We called Thoroughbred for a repair estimate. $92,000!!! 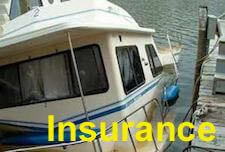 (for a boat we paid $200,000 for in 2005) Insurance denied our claim, so we're trying to repair the damage ourselves. Dismantling the walls we found the wood infrastructure completely saturated & rotted along the bottom of the walls. When we removed a window, we found holes had been drilled completely through the frame allowing water to seep in & run down in the walls. We showed this to Thoroughbred & they STILL REFUSE TO ACCEPT RESPONSIBILITY. According to a former employee, they've known about this problem for some time & DID NOT NOTIFY BOAT OWNERS! I could not recommend Thoroughbred to anyone interested in building a new boat due to their poor manufacturing process, no quality control, and refusal to stand behind their product. If you do use them, better get a warranty IN WRITING. If you are considering buying a new houseboat, your choices are more limited than in the past because several manufacturers have had to close their doors. Thoroughbred, Stardust, and Sumerset are all under the same roof at Trifecta Houseboats in Monticello Kentucky (www.trifectahouseboats.com). Even though they are built at the same factory, they retain some of their unique heritage features. 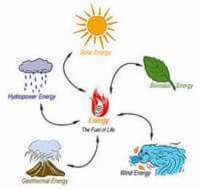 All three brands benefit from the best construction systems. Fantasy, Lakeview, Sharpe, and Horizon are all closed. We have a Thoroughbred and love it. We had Thoroughbred houseboats build us an 18' x 85' boat in 2008. We enjoyed the entire process from beginning to end particularly being able to make bi-weekly visits to the manufacturer to see our boat in the process. During the week we could also see the changes being made via the internet. Working wih Shawn, Rod and the interior designer, Dawn was a wonderful experience. We will probably build one more houseboat and unless something changes Thoroughbred will do it again. Having confidence in a company and customer service is of utmost importance to us.